Kroger announced on Wednesday that customers can get free grocery delivery for orders above $35 through its new service, Kroger Ship. For orders under $35, delivery will cost $5. The program is launching first in Cincinnati, Houston, Louisville, and Nashville. The grocery chain says it has plans to expand the availability of the service over the coming months. Kroger Ship is slightly different than the grocer’s Kroger Delivery service, which partners with Instacart to deliver groceries to customers’ homes within two hours. 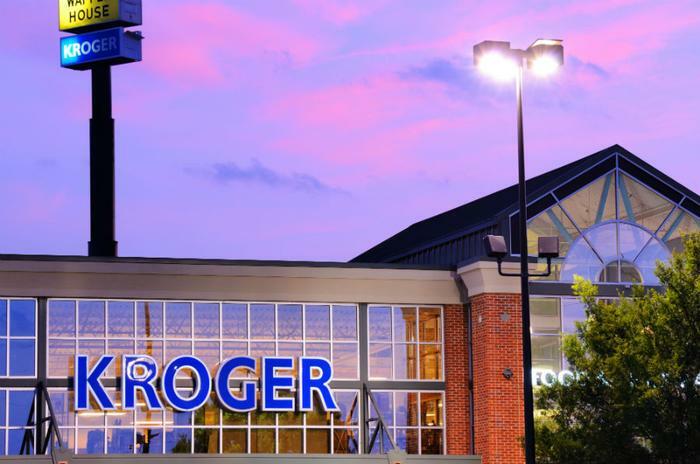 For the new service, Kroger is focusing on helping customers replenish their supply of non-perishables and household goods. Shoppers will be able to choose from a “curated selection” of 4,500 of the store’s Our Brands products and a selection of 50,000 household essentials. Customers who subscribe to the service get a 5 percent discount on regular purchases, as well as promotions and coupons not available to in-store shoppers. During the first phase of the program’s launch, customers can get free shipping with no minimum purchase required and 15 percent off their first order. The roll-out of the new service comes at a time when traditional grocery stores are making changes intended to help them compete with Amazon’s grocery delivery services, particularly its free two-hour delivery from Whole Foods. At the end of June, Kroger announced a new partnership with electric vehicle startup Nuro that would allow it to delivery groceries to customers’ homes in driverless vehicles. "Kroger's ecommerce platform expands our offering beyond the physical store to include even more products," said Yael Cosset, Kroger's chief digital officer, in a statement. "Along with staples and customer favorites, Kroger Ship will carry bulk and additional sizes, and focus on Our Brands, local and international food and flavors, specialty items, and health and wellness products -- making it easier than ever before to be your family's hero at mealtime, or anytime."